Book Reviews and Promotions: Heartfelt Romance, Heart-stopping Suspense All in One Story! Heartfelt Romance, Heart-stopping Suspense All in One Story! When his formerly awkward school buddy is being stalked and attacked, local newspaper editor and town favorite Jacob Forrester decides to protect River. Falling for River, who blossomed into a confident, beautiful woman, Jacob is also eager to take their friendship to a different level. But River always made it clear she wouldn't stick around. 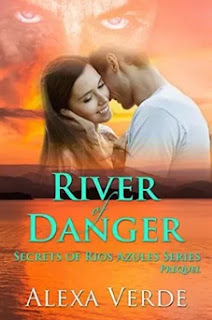 Novella River of Danger is a prequel to the Secrets of Rios Azules Series, followed by Book 1, Color of Danger. Each book is a Christian romantic suspense.